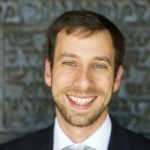 Eli Schwartz is an SEO expert and consultant with more than a decade of experience driving successful SEO and growth programs for leading B2B and B2C companies. He helps clients like G2Crowd, Shutterstock, BlueNile, Quora, and Zendesk build and execute global SEO strategies that dramatically increase their organic visibility at scale. In the past, Eli led the SEO team at SurveyMonkey, building organic search from nearly zero to one of the largest growth drivers at the company. He helped launched SurveyMonkey’s first APAC office and oversaw international SEO pre- and post-IPO. Prior to SurveyMonkey, he led user acquisition at High Gear Media, pushing the company from 500,000 new users to 6 million every month in just three years. Eli frequently speaks at marketing events across the U.S., Asia, and Europe, and he authors columns published on Search Engine Land, Marketing Land, and Search Engine Journal. His work has been featured on sites ranging from the Huffington Post to the Y Combinator blog. He has guest lectured at Duke’s Fuqua School of Business, Singapore’s Civil Service College, and Growth School for Growth X. Eli regularly appears as a guest on top industry podcasts such as Y Combinator and Search Nerds. He has acted as a judge for the last five years on the US Search Awards, UK Search Awards, and the US Interactive Marketing Awards. For speaking engagements or to learn more about how Eli can help shape your organization’s SEO strategy, please get in touch.